To say I'm obsessed with this season's Lilly P. collection is an understatement. I've been stalking their website for the past two weeks nightly, oogling the gorgeous frocks and fabrics and deciding how much extra closet space (and income) I'd need in order to buy the entire line. 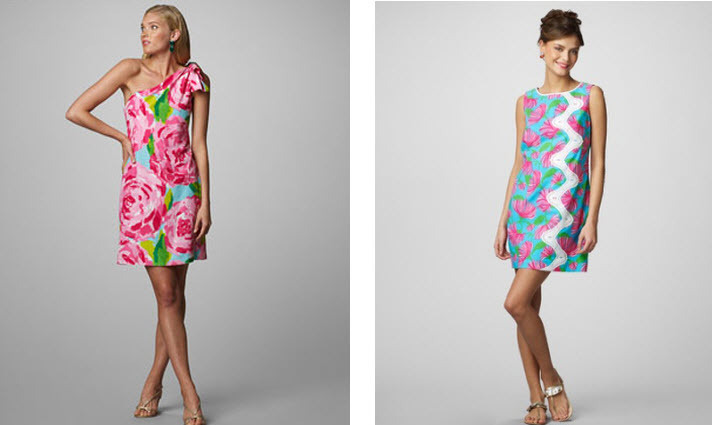 If spring is your thing- Lilly Pulitzer is your girl. I mean, hello! How can you not be happy- nay, giddy- while looking at this stuff? The fabrics alone are enough to change your outlook on life! Candy, flowers, beaches, tulips, streamers, sea shells, pink lemonade...these things all come to mind when I look at Lilly. 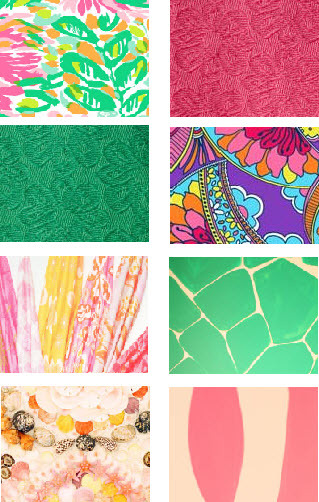 What does Lilly Pulitzer remind you of? A favorite childhood vacation to the beach? The first flowers of spring? Love love LOVE these patterns - thanks for brightening up my Thursday! Loving the one shoulder dresses...super cute! Oh I am loving the precious yellow one! Such a classic! Be sure to enter my Monogrammed Waffle Robe Giveaway! 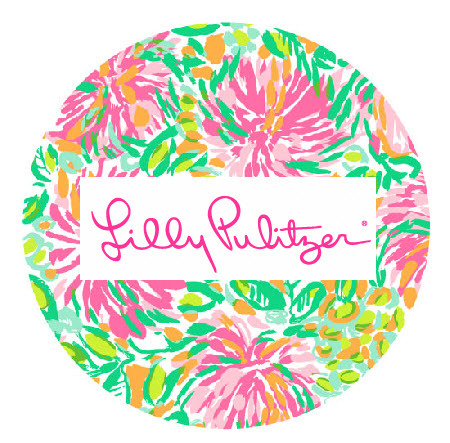 there is nothing like Lilly. it's a Southern classic, and you can't just help feeling a little happier when you wear it! That yellow dress is to die for adorable! I need it! Cute dresses in beautiful spring colors! I am going to "sew" a dress in the next few weeks (I have only sewn throw pillows, curtains, and a duvet for our guest bedroom so I'm not sure how this will turn out) and these dresses are great inspiration :). Have a blessed day! Loving that white dress! Have a great day honey! How fun. I need some spring on this dreary day. Oh my gosh! I want EVERYTHING! oooh i love those! esp the white with pink floral on the top right!! love love love! thank you for sharing! I love your blog. Your style and vibe are adorable! Please check mine out and if you like it follow me back, id really appreciate the support! these patterns are beyond gorgeous! makes me SO so ready for spring to be here and stay! gorgeous! I love Lilly and these dresses have me ready for spring! A Blonde Ambition does not share personal information with third parties, nor do we store any information about your visit to this blog. This blog does contain some advertising and affiliate links. This means that I may get commission on sales of the products that I link in my posts. Items in outfit posts marked with "c/o" were provided for the post. All opinions on products, sponsored or otherwise, will always be my own. SITE DESIGN BY THE KINCH LIFE DESIGNS. Powered by Blogger.